Those who put on weight easily find it hard to lose it that easily. 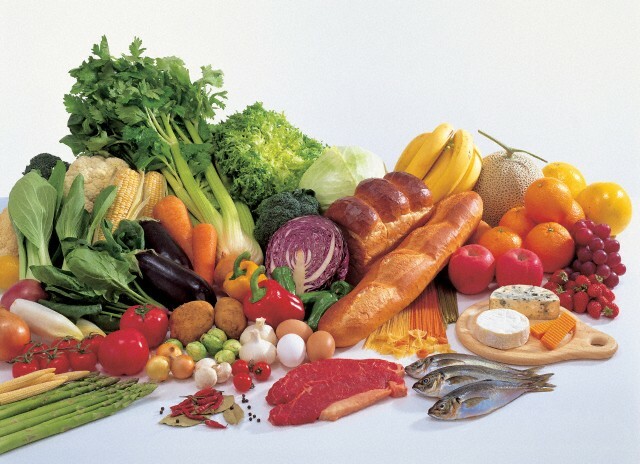 Many go on lean diets or go without taking any food in order to lose weight. But this is not a wise method to lose weight. It only harms your body and may make you sick by making your body deficient in many of the essential nutrients. If you are planning to go for an occasion and want to lose your weight immediately, here is a diet that can make you lose as many as 10 pounds in three days. This is a diet that you have to follow for three days and you will be surprised how fast you have lost weight. It is called 3 day tuna diet plan and it makes you lose weight in just 3 days. Tuna is a salt water fish that is rich in omega 3 fatty acids, antioxidants, vitamins, minerals, proteins and other nutrients that are essential for your body. It is known as one of the healthiest foods in the world. Being a rich source of potassium, it lowers blood pressure and helps to maintain normal blood pressure. B vitamins present in tuna make the body immune, increase the metabolic activities and keep your skin healthy. Having only two servings of tuna a week can help in lowering the levels of triglycerides in your body. As you know, an increase in triglycerides leads to an increase in bad cholesterols and a lowering in triglycerides leads to an increase in the levels of good cholesterols. It is rich in protein and also helps you control your weight. Omega faty acids help in reducing obesity and improve the insulin production of the body. It stimulates leptin, which is a hormone that can keep the body weight under control. Tuna is also low in calories and fat, therefore good for those suffering from obesity. Omega 3 fatty acids are great for the health of your heart and prevent many of the heart diseases. Omega 3 fatty acids also prevent the formation of bold clots and protect you from strokes and heart attacks. Having 5 or more servings of the fish per week can reduce the risk of stroke to 30%. Studies have shown that consuming tuna regularly can greatly reduce the risk of breast cancer. Another study says that it is also good for preventing kidney cancer. Selenium is an anti-oxidant that is found abundantly in tuna. It strengthens the immune system in your body, making your body immune to various diseases and infections. You may use only salt and pepper for seasoning when you follow the 3 day tuna diet. You must use as little salt as possible as tuna is rich in sodium and too much of salt may lead to an increase in the sodium you consume. Those who are allergic to any food items are advised not to follow this diet. They should also not suffer from any problems of the heart or any other medical problems, which prevent them from consuming some of the items that are included in the diet. When you follow this diet, you have to drink lots of water. You must drink at least 8 glasses of water daily. Breakfast: – Have one cup of black tea or coffee. You may add honey instead of sugar as it contains less calories compared to sugar. Have one slice of toast with peanut butter and also half a grape fruit. Lunch: – For lunch have half a cup of tuna along with a slice of toast with 2 teaspoons peanut butter. You can also have a cup of black tea or coffee. Dinner: – For dinner you may have a small apple, chicken piece of breast without the skin and a cup of green beans. Along with these you can take 1 cup of sugar beet and a bowl of ice cream. Breakfast: – On the second day of the diet you may have 1 cup of black tea or coffee, 1 slice of toasted bread, 1 egg that is poached or boiled and half a banana for your breakfast. Lunch: – Lunch on the second day consists 1 cup of tuna and six crackers, along with a cup of black tea or coffee. Dinner: – dinner includes half a banana, 1 cup of broccoli, half a cup of carrots and 2 hot dogs. You can also have half a cup of ice cream with low fat. Breakfast: – On the last day of the diet you can take a cup of black tea or coffee, along with low fat cheddar cheese, an apple and 5 crackers. Lunch: – lunch on the third day includes a hard-boiled egg or a poached egg, and a slice of toasted bread. Dinner: – for the dinner you may have a cup of tuna, 1 cup cauliflower, half a lemon and half a cup of ice cream that is low in fat. This three day tuna diet promises you a rapid weight loss without any deficiency in the essential nutrients in your body. This is because the diet includes a lot of essential nutrients that are needed by the body. It provides you a figure that you wish for in three days, without effecting the normal functioning of your body or causing any side effects. When you follow this diet, you are advised to take multivitamin tablets, as this prevents the deficiency of any vitamins and minerals in the body during these three days. You must remember that this diet is not a substitute for a full meal. This is only for a quick weight loss and must not be continued for more than 3 days at a time. So, after the three day tuna diet you must return back to your normal diet, or else it may lead to conditions like anemia and other health problems. You can’t have cheese. that’s why there isn’t any mention of cheese. You eat exactly and only what is stated. Then why does day 3 have cheddar cheese listed for breakfast? Should that be lowfat cottage cheese? IT SAYS CHEDDAR CHEESE ON DAY 3 BREAKFAST…IS IT SUPPOSE TO BE COTTAGE CHEESE? Read the label on the cheese Only eat the serving size like 1 oz or what ever it says. Not a big fan of coffee or tea can I substitute with water? I’m not sure how ice cream factors in to a weight loss diet, especially eating it each day? “Amy’s” comment reminds me of know-it-all types of people….. So annoying.